47 years ago - Victor Fries is born. 41 years ago - 6-year-old Victor's parents discover him freezing live animals. He is sent to boarding school where he is ostracised & tormented. 29 years ago - 18-year-old Victor begins college, studing biology. 27 years ago - 20-year-old Victor meets his future wife Nora. 25 years ago - 22-year-old Victor begins grad school. 23 years ago - 24-year-old Victor marries Nora, and begins his doctoral thesis. 21 years ago - 26-year-old Victor earns his doctorate in Cryogenic Biology. He begins running the cryogenics lab for Goth-Corp.
20 years ago - 27-year-old Victor's wife Nora develops a congenital disease without a known treatment. Victor begins working to cure her, requireing him to periodically place her in suspended animation. 17 years ago - 30-year-old Victor's cryogenic technology is used for a non-lethal freeze gun by Cybertech in a deal with Goth-Corp.
14 years ago - 33-year-old Victor's use of his cryogenic lab to preserve his wife is discovered by Goth-Corp executives. they try to shut him down, and he is inadvertently bathed in experimental cryogenic fluid. 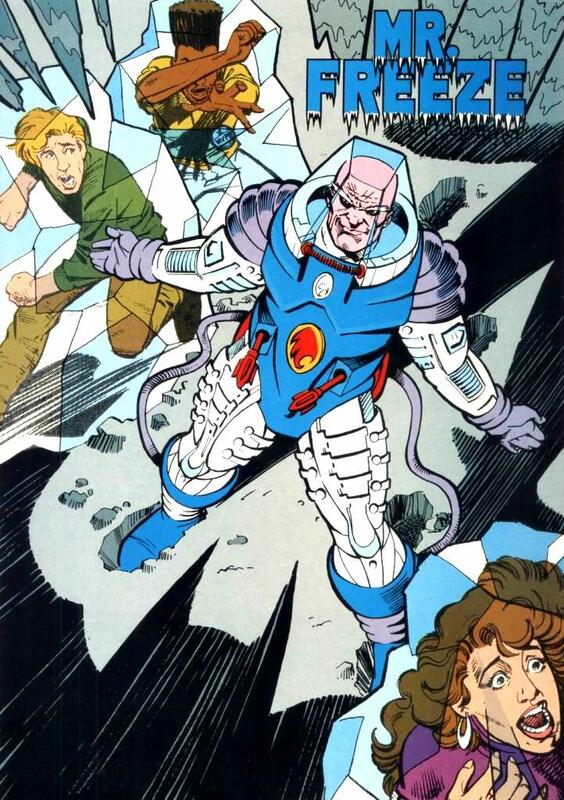 He kills the men responsible, escapes and creates his own lab, using diamond-enhanced cryotech to steal the necessary funds to maintain his lab and save his wife, abandoning his title as doctor and instead embraces his role as Mister Freeze. He is stopped by Batman, but is permitted to continue his research in the controlled enviornment of Arkham. 5 years ago - 42-year-old Victor escapes to attempt his final cure, a device that will save Nora but will freeze the entire city. He is stopped by Batman. he looses his arms and legs to the machine, but Nora is saved. She rejects him for what he has become. 3 years ago - 44-year-old Victor uses his new cybornetic cold suit to escape Arkham during No Man's Land. He remains at large. 1 year ago - 46-year-old Victor joins the Legion of Doom. There have been so many interpretations of the Batman story in so many mediums. This is part of why his rogues gallery is considered one of the best in comics, because there have been so many opportunites for his villains to be reinterpreted by so many different people, that many of his villains only achieved their prominence years after their invention. 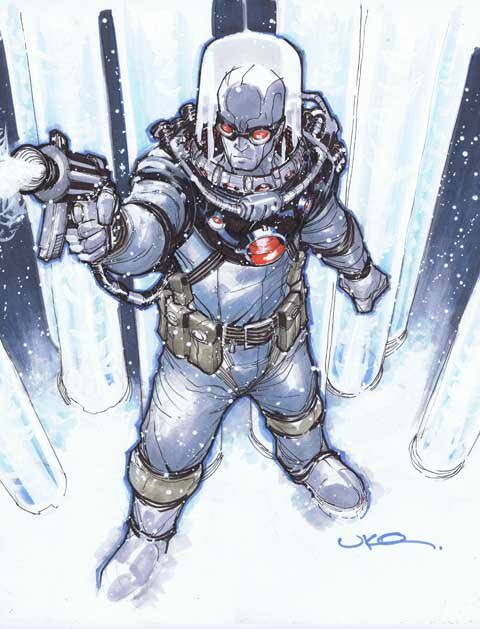 One of the best examples is Mister Freeze. He's a terrifyiing but tragic figure with a fantastic story, but he wasn't invented that way. 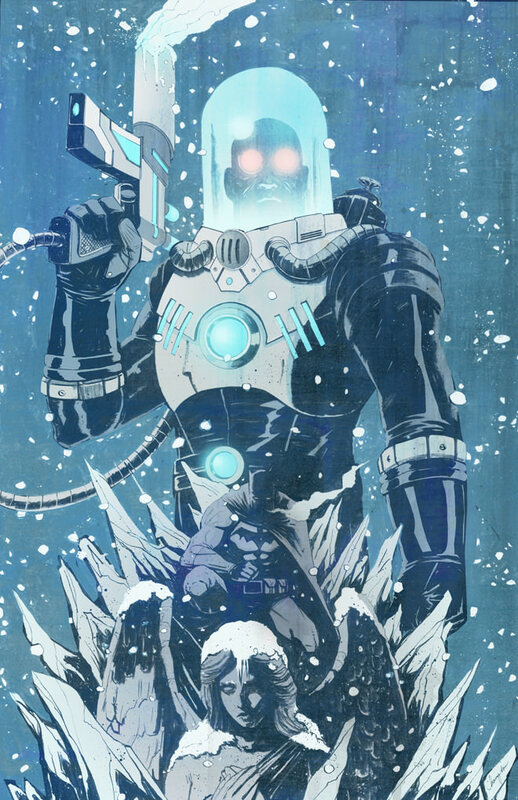 One of the coolest (no pun intended) parts of Mister Freeze's development as a character is the fact that, while his long-standing and well-loved backstory as a tragic figure trying to save his wife makes him one of the best characters in Batman's villain gallery, this was actually a pretty late addition to his story. It was invented entirely for the Batman animated series. Before this, he was simply another themed villain and thief, something that fit in perfectly in the schloky 60's live action series (where he was played by, among others, famed character actor Eli Wallach). The character debuted in 1959 as "Mister Zero". He was a rogue scientist who had invented a cold-gun, which was actually a pretty common backstory among DC badguys at the time. He just had a slightly cooler (sorry) costume. The Batman Animated Series had a great track record for constructing compelling backstories for it's villains, but the story they concieved for Freeze was so good it completely redefined the character. It repurposed him into a stoic and tragic figure, but still infused him with a menace that is rarely achieved by standard comic characters. The story really did belong to the animated series so they were free to expand it, making him more monsterous as the story went on. Many of these changes were adapted into the comics and associated media, but the animated series continues to be the best depiction of the character. Our goal with the character is to allow the singular story as created by the Animated Series to bear it's full narrative weight. To do this, we made the decision to forget the traditional constant back-and-forth that most comic book villains have with their respective heroes. 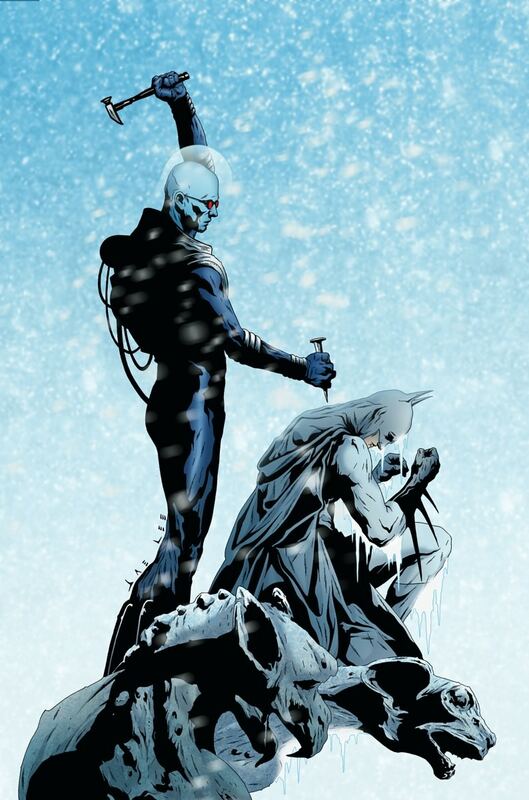 Mister Freeze is not in a constant cycle of escaping, trying to do his thing, and then being stopped by Batman. Instead, his story plays out on it's own. His tragic loss of his wife, his attempt to cure her, The accident that makes him inable to survive at temperatures above freezing, and his monsterous attack on Gotham in a desperate attempt to save Nora. This is one, long, singular tale. After this, he is secured in Arkham, permitted to continue his research but unable to attempt further crimewaves. This feels like a more fufilling use of the character than as a recurring villain. The animated series would go on to expand his story by actually curing Nora but having her reject him, and to depict Victor's descent as a monster by stripping him of his body. We decided to do the same since it really is a fantastic way to advance the character. He loses his last tether to humanity even as his body is stipped away. 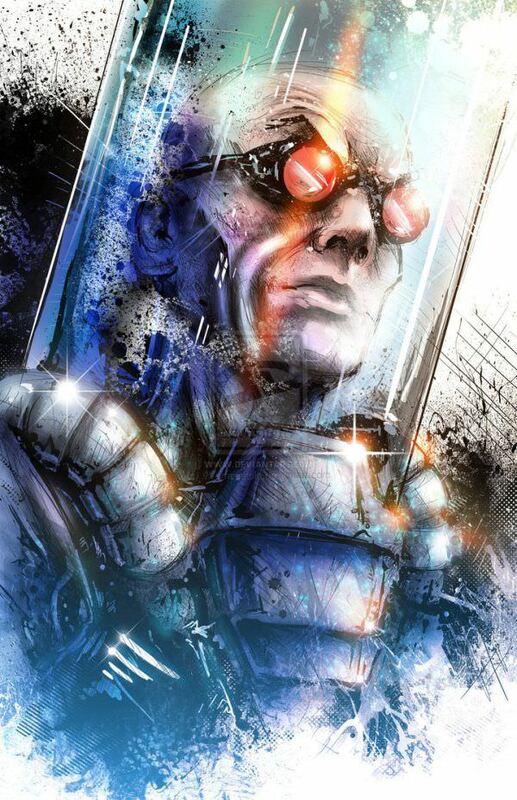 Mister Freeze is a head above all the other cold-themed villains in DC (with the possible exception of the far more human Captain Cold) specifically because he is such a unique figure. His descent and loss are what make him so fascinating. There have been a number of attempts to rething Victor's signature cold suit. Some of them are remarkably complex. This includes the infameous Arnold Schwarzenagger costume from Batman & Robin. Say what you will about the movie but it had a singular vision, and Arnold's costume was a pretty fantastic piece of costume design. What really needs to be made clear is actually Victor's physique. The idea that he is a hugely muscled beheamoth is a little bit of a misuse of the character. he might be a relatively big guy, but he shouldn't become the towering automaton of death until he's wearing his huge cold suit. This is probably best exemplified in the game Batman: Arkham City, where the battle against Mister Freeze is widely considered one of the best designed boss battles in gaming. This is how Victor should work... more intelectually threatening when he is out of his suit, but a massive physical threat once he's properly equipped. Modern versions of the charater have crept up that actually have a much less complex version of the cold suit, actually exposing his arms. This might be a clever innovation from a design standpoint, but it's just not a functional depiction of the character. This is a guy in a giant suit, and eventually is a guy with a creepy cybornetic body. That's the whole point. By utilizing some of the story elements from later verisons of the animated series, Victor is, as we leave the timeline, partially cybornetic. In the series he winds up a head in a glass case with an entirely cybornetic body, and while that is terrifying it is a bit further than we've gone so far. The idea of him being a torso with cybornetic limbs is actually just as creepy and seems to depics the overall concept of Freeze even better, suggesting frostbitten limbs. We decided to put Freeze into the Legion of Doom, where he is a fantastic fit. He's a scientist, of course; both an evil genius AND a dangerous powerhouse with the power to single-handedly turn the tide of battle. While he has a tragic past, he is now so lost and far gone from his humanity that joining the Legion of Doom totally fits with his current mindstate. The idea that Nora is still alive and out in the world gives him an incredibly human fallibility, something that could be exploited in a million possibly ways. Victor Freeze actually appeared in the series Batman Beyond in future Gotham. The implication is that Victor's frozen body is now immune to aging, and he will continue to be a threat long after the modern generation of heroes has passed. As he becomes more and more of a monster it will be fantastic to see future generations of heroes have to overcome this terrifying presence.